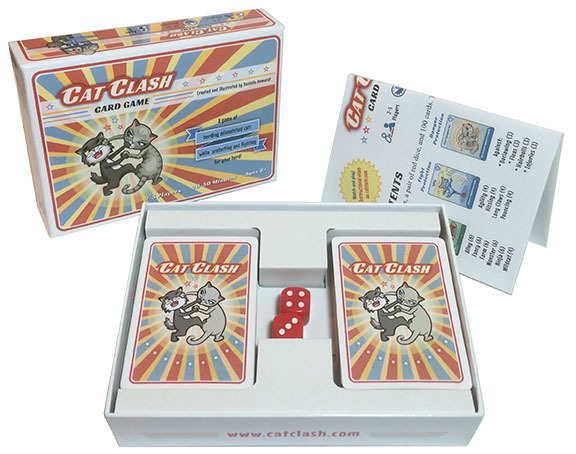 Cat Clash is a fun filled game played with beautiful hand illustrated cards, a set of dice and LOTS of cats! Each cat card is thoughtfully created, themed, and often has a fun or quirky message name or scene. 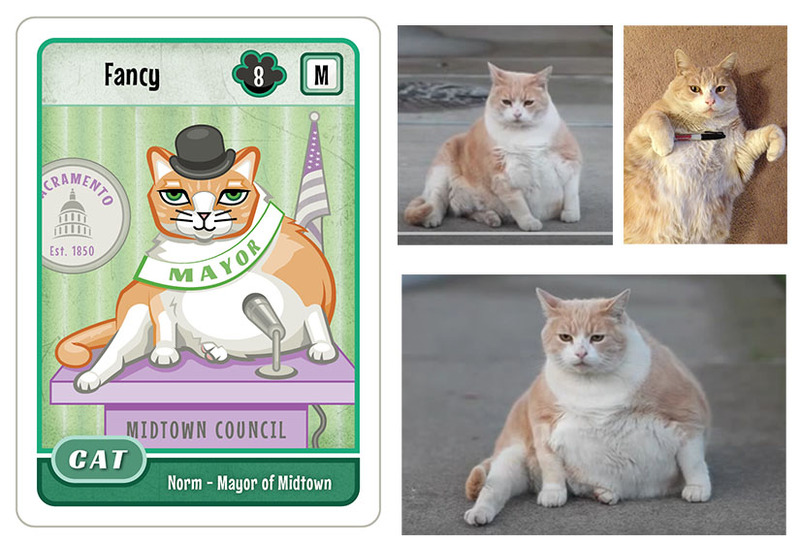 For example, Norm is based off a real famous capital cat in Sacramento, where he was dubbed 'Mayor of Midtown' - and now lives on immortalised in Cat Clash. 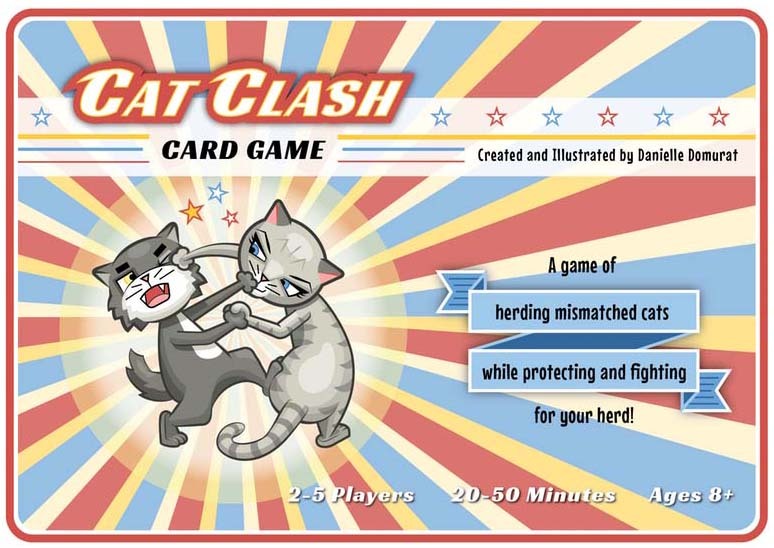 These highly detailed cards all come together for what develops into a fast paced game where you try to get one of each of the 5 types of cat in order to win. Inside the box there are 98 cards with 53 unique designs, a set of dice and detailed instructions on the ins and outs of the game.